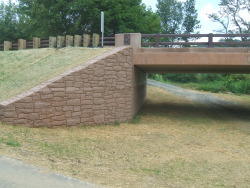 Dane Construction specializes in Civil Engineering. Under this discipline we have the capability to undertake most types of heavy construction such as; dams, utilities, concrete structures, flatwork, piling, foundations, walls, site work and associated civil engineering functions. In addition, we welcome the opportunity to discuss any type of challenging engineering project that requires our expertise and problem-solving. We use specialist sub-contractors when necessary to provide a quality product, on time for a fair price.